Yeshiva University alumnus Rabbi Yigal Sklarin ’02YC, ’07R, ’11BR was recently awarded the prestigious Pomegranate Prize from the Covenant Foundation, which recognizes five passionate and talented emerging leaders in Jewish education who have been working in the field for 10 years or less. Sklarin earned his BA in history from Yeshiva College, where he received the Max and Sophie Manicoff Award for Excellence in Talmud. He received semicha [rabbinic ordination] from YU-affiliated Rabbi Isaac Elchanan Theological Seminary and was a member of the Wexner Kollel Elyon. He also completed an MA from the Bernard Revel Graduate School of Jewish Studies, where he is now pursuing a PhD in Modern Jewish History. 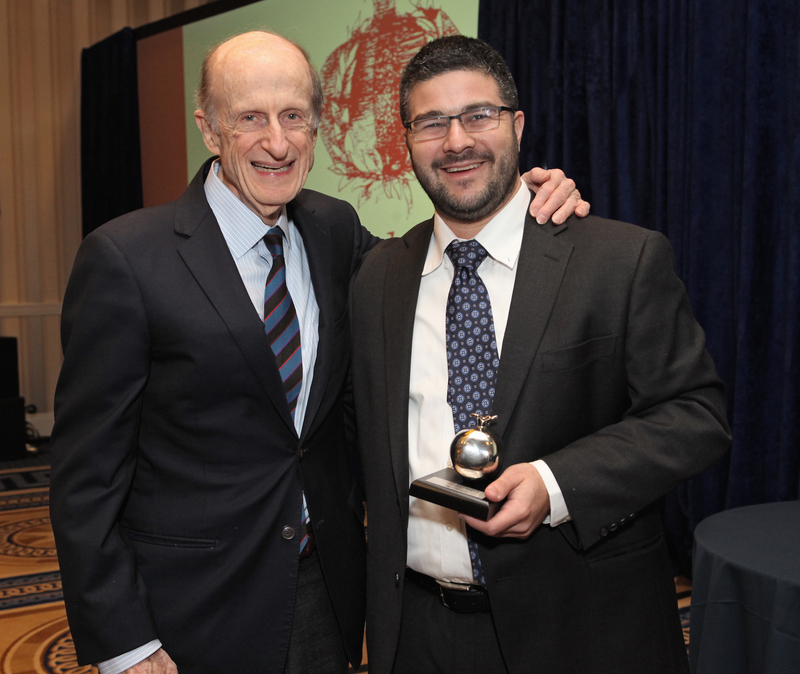 Established in 2011, the annual Pomegranate Prize awards $15,000 to each recipient to invest in educational projects and help them make an impact in their communities and in Jewish education. Members of the cohort are involved in professional development and leadership programs, peer-to-peer gatherings and other educator initiatives, and connect with top educators through events sponsored by the Foundation over a three-year period. Sklarin teaches Talmud and Jewish History at The Ramaz Upper School in Manhattan and also serves as director of interdisciplinary studies. He is a guest lecturer throughout the New York metropolitan area and has edited and published numerous books and articles for various publications. Sklarin expressed his profound gratitude to Yeshiva University, and particularly his teachers and rebbeim, for advising him and serving as spiritual role models during the 16 years he has been affiliated with the school and as he built his career as an educator.